Harpoon makes some of my favorite beers, from their UFO White to Leviathon, you’re generally going to get a solid, complex beer with a lot to offer. So I had high hopes when I picked up UFO Pumpkin. And those hopes were resoundingly rewarded. This if the kind of pumpkin ale that I want to be drinking; when there’s more pumpkin than spices and I feel like I’m in the middle of Halloween instead of the middle of some over-saturated, over-spiced pumpkin pie being served up for someone’s Thanksgiving dinner. It’s unfiltered, so it has a deep, cloudy orange, making it look heavier than it actually tastes. It’s a deep, rich orange. It’s a satisfying color, letting you know exactly what you’re in for. There is cinnamon and spice up front, which gives way to a solid and hearty pumpkin flavor. 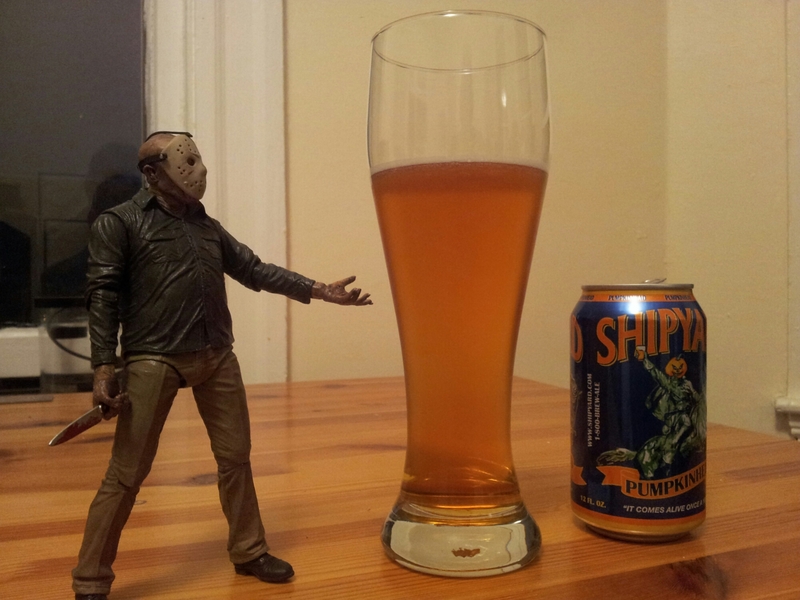 Much like Pumpkinhead, it’s very crisp and ultimately very refreshing. For day to day drinking, both Pumpkinhead and UFO Pumpkin are good beers. They both have a relatively low alcohol content and don’t overwhelm you with unnecessary flavor. It honestly depends on what you’re looking for in a pumpkin ale. If you’re looking for a more spice heavy beer, I’d go with Pumpkinhead. If you want something a little more pumpkiny (that’s a technical term), UFO Pumpkin should be your go-to this season. The spices and the pumpkin flavoring go hand-in-hand. For me, UFO Pumpkin is the way to go and I give it seven cheerful Jack O’ Lanterns and a scowling black cat. Sometimes, you need to take a break. You just need to push your chair away from the desk, stand up and walk away for seven months and pretend that you never did what you were doing. And then the grocery stores is setting masks out and companies start adding pumpkin to things that don’t really need to have pumpkin added to them, but once you hear about it, you can’t imagine NOT adding pumpkin to beer. And then, that’s when you sit back down and get back to work.